Somethings are the same everywhere – Life! 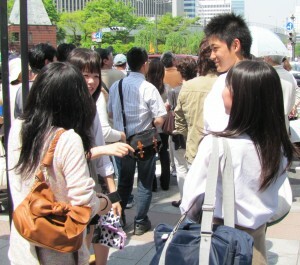 I spotted this group on a Tokyo corner. The three girls were giggling at everything this boy said.